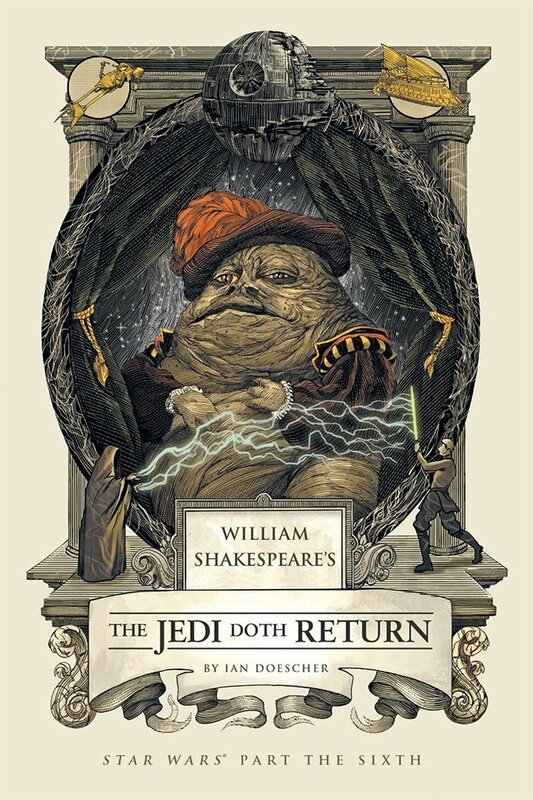 Ian Doescher returns with the much anticipated final book in his series of Star Wars as written by William Shakespeare books, The Jedi Doth Return. If you enjoyed Star Wars: Verily, A New Hope and The Empire Striketh Back., this is a must have to complete the collection. The first in the series was really well done and has garnered a rating of 4.5 stars on Amazon (you can read an excerpt here). Returneth, my lads, to a galaxy a thousand score distant, in another time, if thy will. The book is illustrated with beautiful black-and-white Elizabethan-style artwork, just like Bill Shakespeare would’ve wanted. The Jedi Doth Return goes on sale on July 1, 2014.